Learn the first two staff sequences taught in Shaolin Kung Fu. Includes solo and partner drills and martial applications. Dr. Yang, Jwing-Ming teaches the basic sequences and solo drills for Shaolin Staff training. Staff training develops the fundamental skills required for all other long weapons training, and it is traditionally the first long weapon learned in Chinese martial arts. 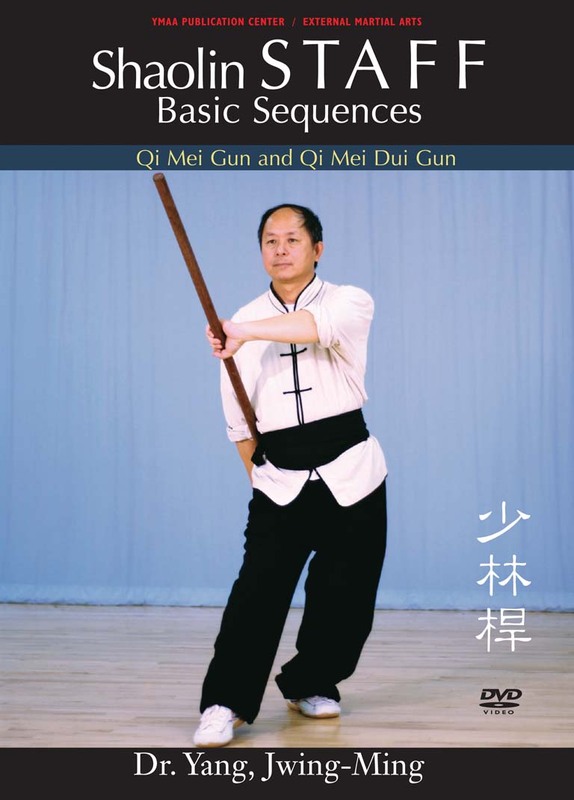 Dr. Yang, Jwing-Ming demonstrates the solo and matching drills and instructs the first basic Staff sequence, Qi Mei Gun, with martial applications. Partner drills and the 2-person Staff matching set, Qi Mei Dui Gun, are also demonstrated. Dr. Yang offers detailed instruction and corrections to every movement as students demonstrate, making it easy for the viewer to learn. This program builds upon the fundamental techniques taught in the Taiji & Shaolin Staff Fundamental Training DVD (YMAA). History and Theory of Southern-style Staff. Various types of staff, such as rattan and white wax wood. Several solo and partner matching practice drills. Three complete video courses on one DVD. Features YMAA senior Instructors Nicholas Yang, Robert Was, and Pedro Rodrigues.